What’s going on in Desteni’s DIP? What is going on in Desteni’s ‘DIP – Self-development & Leadership Course’? The extraordinary is what it is. I’ve just began SRA3, where the beginning lesson chapter is titled: “Backchat The enemy within”. From the beginning I’m intrigued in how the course will assist one to reveal a part of oneself that self has acted in behalf of – ‘as automated Backchat’. ‘Automated backchat’ is existent as the subconscious and directs us through experiences such as: voices in the head, pictures, thoughts and feelings and emotions, reactions, and, all of those desires! Backchat developed as an outflow of consciousness pre-programming and SRA3 assists self to identify how ones environment with people and ones experiences – how it influenced who we are and what we’ve become as the choices we’ve made as part of our pre-determined mind consciousness system, self-design. The lesson material is structured with respect to the written word, to language, sound and communication, and balances coherence and variety with common sense professionalism. A genuine example of Desteni’s commitment in assisting and establishing a ‘Quality of Life’ where all may exist here in dignity. Desteni’s massive research in ‘Consciousness’and ‘Human Behavior’ prepares the way and is a valuable education into the depths of self in a way that only self can fully grasp as one walks it into and as self-application. We are in a new Educational Terrain and as such we ought to be guided by the core principle of the world – the Principle of Equality and Desteni DIP delivers it. Bravo! 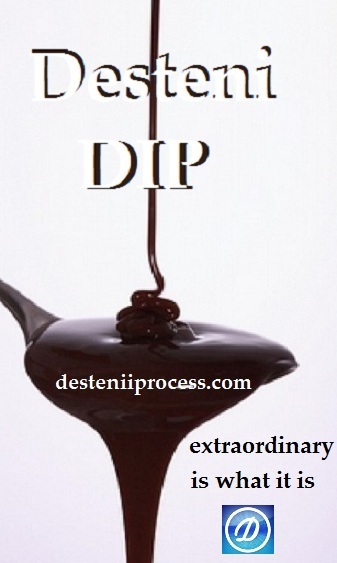 Desteni DIP brings it home to/for and as self. It’s the Perfect Gift and a walk I’m thoroughly enjoying. Join Us!